kandeej.com: The Burning Questions are BACK! Poop, rapping and more! The Burning Questions are BACK! Poop, rapping and more! The 20 Questions are Back Baby!!! It's been a looooong time...I know. Here's the newest of the new 20 questions- find out all kinds of things and what one question got the "Are you kidding me?!?! "......ha ha ha, i don't even know if it ended up being 20 questions! 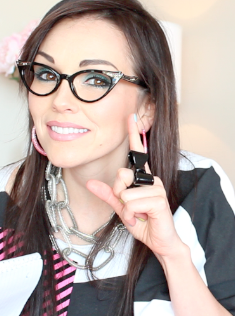 Comment below with your other fun questions for the next questions video..
so fun Kandee! I like What the what videos title. I know you don't regret anything you've been through because as many times as I've felt low and like giving up I don't regret it because its brought me to where I'm at and I love it but have you ever wondered what your life would be like had you not had kids? What if you had done everything "right"? i love Love LOVE your nail polsih in this video!!! is the blue color the "pool boy" i've heard you mention in the past?? your glasses are ri-ponkey-lous hahaaa!! aw i love this!! much love and blessings!!! Hey kandee! I first started reading your other blog. I'm a mommy too. :) and jw thinking of another question for your next 20??? Vid, when is your birthday? Love everything you do! Thanks!